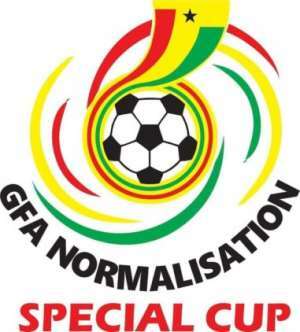 Organisers of the Ghana Football Association Normalization Committee Special Competition are calling on participating clubs to show support to referees in order to boost their confidence to perform better during the course of the competition. Just two matches played in the competition, the performance of referees have once again come under severe criticism with some club officials expressing their displeasure to the performance of some match officials. Whiles many are pushing for some of the referees to be denied the opportunity to officiate any more matches, member of the organizing committee of the special competition, Augustine Arhinful insists it will be better for clubs to back the official to help boost their confidence. Speaking in an interview on Class FM, Arhinful said, “So far I think so well. We haven’t actually received any serious report and I will say overall so far so good after two matches. We know one way or the other they will falter along the line. We have to put ourselves together and also give them the backing that they need. “I think so far let’s try and build up the confidence that we should give them. The authorities in charge should take a decision, sort of maybe punishment for that particular referee or referees”. Meanwhile veteran football administrator Jonathan Abbey Pobi has disclosed that officiation in this competition has been far better than what he saw in the previous administration before the Anas video was released.